This is a fantastic opportunity to assist your child to expand their digital literacy skills and support them in excelling at school as they move through their education. 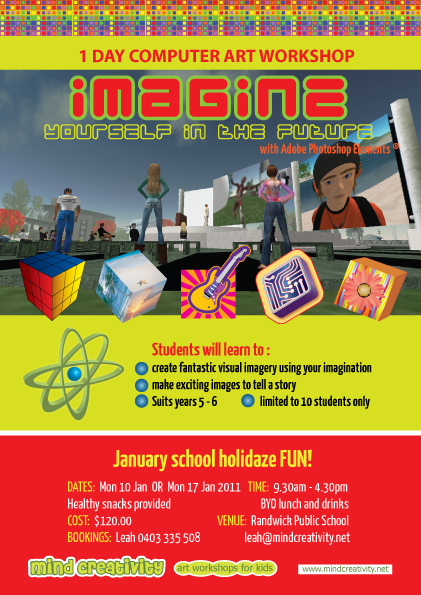 Help set your kids up for their digital futures with this great school holiday activity for kids. 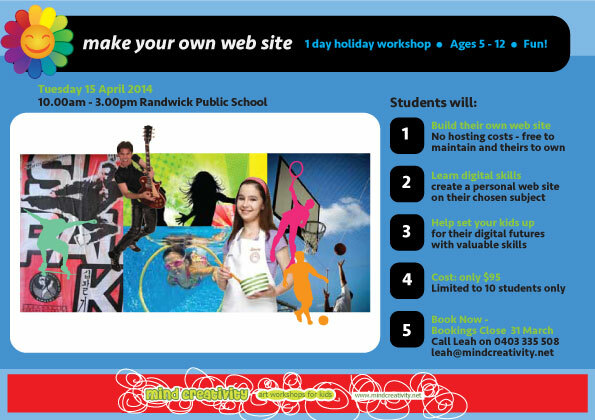 Make Your Own Web Site is a fun one day workshop for ages 5 -12 years. Students will learn to create a personal web site on a subject area of interest to them, learning new digital skills in the process. Their site will be theirs to own and maintain with no hosting costs to you. 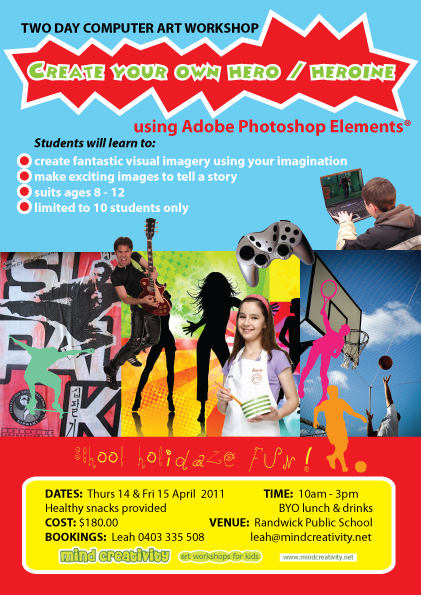 Students will work with photos, effects and voice narration to produce their own photo story movie. Many thanks for the workshop ….Kalinda learnt sooo much , you are terrific. Please advise other workshops you have on in the future holidays / after school programmes for 2011/12…we’re in!